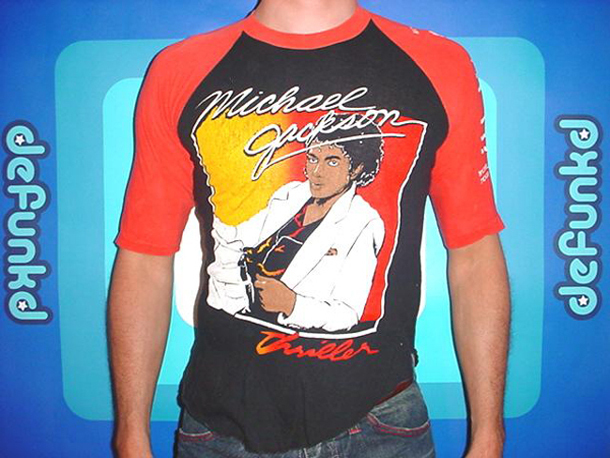 In honor of the man in the mirror we riffled through our photo galleries to find the coolest vintage Michael Jackson t-shirt we’ve ever had. No we’re not trying to profit from his misfortune, we sold this shirt over two years ago, it’s long gone. We do, however, always preach that going throwback is the best way for any fan to show respect. After a quick browse through eBay’s inventory, I’m amazed at the number of vintage designs emerging that I have never seen before. Everyone always remembers where they were when something of like this happens. Sadly, I was at a Wendy’s restaurant. Even worse, I overheard the news of his cardiac arrest from a few employees while they prepared my Baconator combo. I was so disgusted with my poorly timed choice of unfriendly heart food that I threw my burger in the garbage. Just kidding, it was delicious. I didn’t start feeling guilty about it until the coincidence dawned on me while scribing this post. Forgive me Michael. Modern meltdown aside you have to be foolish not to respect vintage Michael. When I was 12 I completely idolized him. 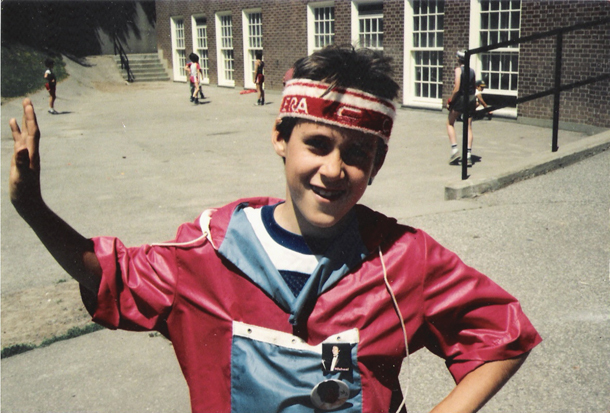 I even wore MJ buttons and here’s an embarrassing photo of me at the height of my fanhood to prove it. The buttons are long gone but my support for the Billie Jean bassline as the best one ever, remains. Yes, even better than Queen’s Another One Bites the Dust. Oops, forgive me again, Michael.